AudioSalad » Peaking Lights to Play Other Music In-Store Tonight at 9pm! Peaking Lights to Play Other Music In-Store Tonight at 9pm! Domino / Weird World Co recording artists Peaking Lights will play a special free in-store concert tonight at Other Music in NYC! A limited edition of their latest album, Cosmic Logic, will be on sale at the event ahead of its official October 7th release date. 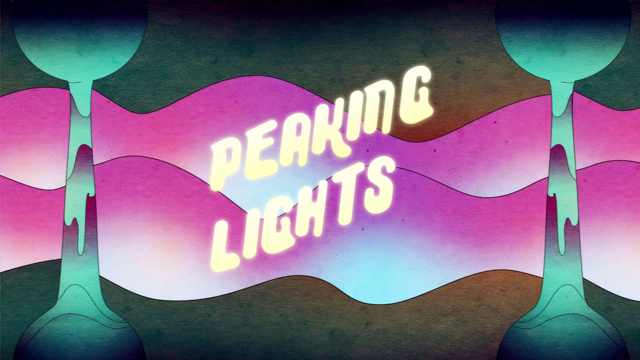 Founded in 2006, Peaking Lights are a husband and wife duo (Aaron Coyes and Indra Dunis) who currently reside and record in L.A. The pair began making waves in the neo-psychedelic scene with their 2008 debut, Clearvoiant. Since then, they have released six full length Peaking Lights albums, as well as appearing alongside contemporaries such as The Flaming Lips and remixing tracks for David Byrne’s Luka Bop label. Described as a less psychedelic and more purely pop album, Cosmic Logic is the duo’s first major release since 2012’s Lucifer. Their in-store performance at Other Music (15th East 4th Street) begins at 9pm, and since the show is free of charge, we recommend you get there early!